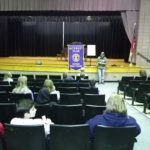 YMCA Blue Ridge Assembly —Black Mountain, NC. An opportunity to build communication and problem-solving skills, discover strategies for dynamic leadership, learn from community leaders, inspirational speakers, and peers. Plus have fun while making lasting friendships. Rotary Club of Valdese will sponsor and pay the $300 fee for a student delegate (Ages 15-18) from each – DHS and Hallyburton Academy – to attend this amazing leadership camp. This entry was posted in News on August 19, 2018 by Beth Heile. 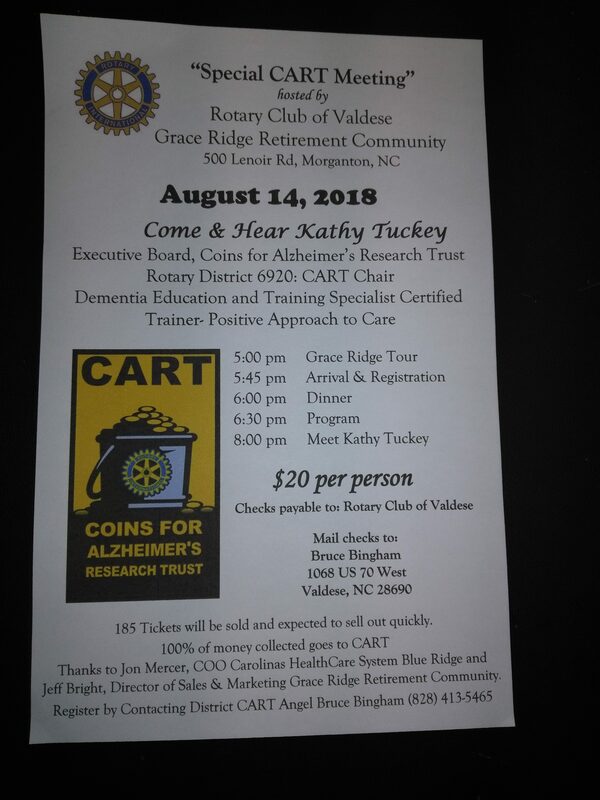 The 3rd Annual CART (Coins for Alzheimer’s Research Trust) Dinner will be held on Tuesday evening. Tickets must be purchased in advance for $20 from Bruce B. This entry was posted in News on July 13, 2018 by Beth Heile. At today’s meeting, we awarded a few of our scholarships that we maintain through our endowment at CFBC. We will also be awarding 4 $500 scholarships to Hallyburton Academy and a $500 to a DHS STRIVE Student. This entry was posted in News on June 5, 2018 by Beth Heile. 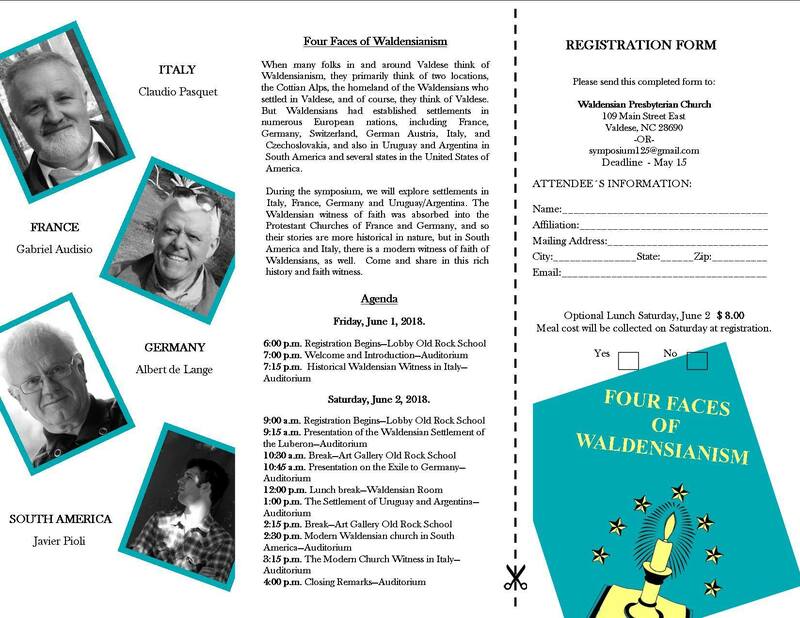 To help Valdese Celebrate its 125th Anniversary, we will be volunteering at this event. We need 8 people 8:30-12:30 and 8 people 12:00-4:00 on Saturday, June 2. This entry was posted in News on April 22, 2018 by Beth Heile. 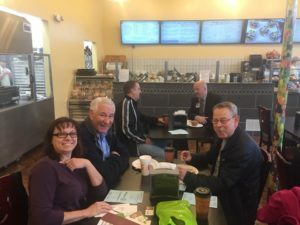 In order for our members to attend Noon Holy Week Services, we changed our regular Noon meeting to a morning social at a new bakery in town. We had coffee and muffins and enjoyed learning about each other’s lives at the moment. But, then we started talking about fundraising!! This entry was posted in News on March 27, 2018 by Beth Heile. 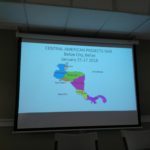 In late January, Rotarians Ted and Vivian attended the Central American Projects Fair in Belize City. 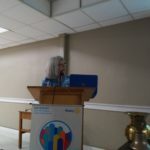 This was a continuation of a Rotary Friendship Exchange. 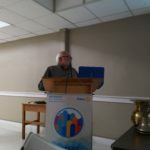 Ted and Vivian have visited Belize before, Rotarians from that region have visited Valdese, we support a scholar from that region who attends WCU. This entry was posted in News on March 20, 2018 by Beth Heile. This entry was posted in News on March 19, 2018 by Beth Heile. 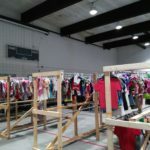 On Saturday, March 17, 6 HMS and 1 Rotarian helped First Baptist Church of Icard with their Community Consignment Sale from Noon – 4pm. This entry was posted in News on March 17, 2018 by Beth Heile. For our March 16, HMS Interact Meeting, President Beth brought in Tim Pons, the Aquatics and Fitness Supervisor at the Valdese Rec. Tim talked about his start at community college, then working, then going back to get his 4 year degree and then working different jobs until he landed his dream job. This entry was posted in News on March 16, 2018 by Beth Heile. 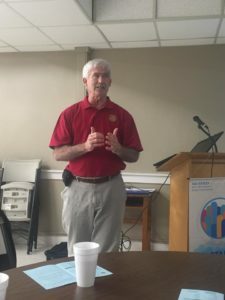 Past Valdese Rotarian and Morganton Mayor Ronnie gave us an update on what is happening in Morganton. 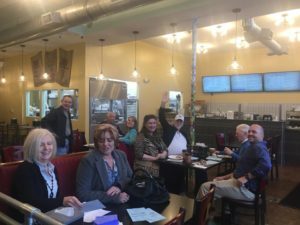 From the sk ateboard park, to 2 new hotels to a streetscape project, Morganton has a lot happening. This entry was posted in News on March 13, 2018 by Beth Heile.